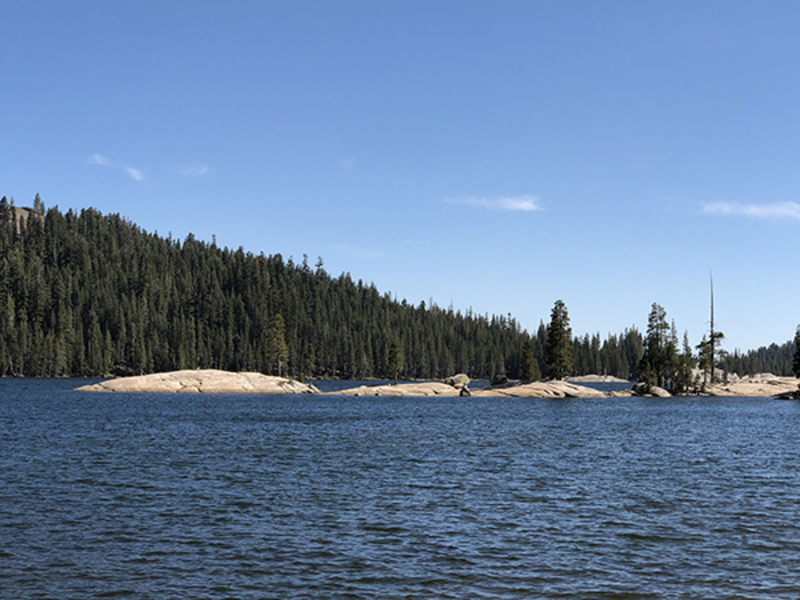 Lake Alpine will be planted this upcoming week and fishing should be excellent.Bait caster's should try inflated nightcrawlers, Gulp Eggs, the new Garlic and Salmon Egg Scented Power Bait and Gulp Power Bait, Floating Power Eggs, and Power Bait on a 24" to 30 " leader. Fly fishermen should try woolly buggers, ants, and sparrow nymphs on a intermediate sink line. Look for any hatches coming off just before dark. Lure fishermen should try Panther Martin's, Rooster Tails, Blue Fox Spinners, Kastmasters, and Thomas Buoyant. Trollers should try using the new Glitter Bug dodgers, Rocky Mountain dodgers, Panther Martin Lake Trolls, and Wild Things by Crystal Basin Lures, with a new Glitter Bug Hoochie, Wedding Rings, Apex, Needlefish, Ex-Cell Spoons, and Rocky Mountain Hoochies and Spoons behind a small dodger tipped with either a nightcrawler, Gulp Nightcrawler, Gulp Maggots, or Power Minnows. Spicer Reservoir was excellent this past weekend for trollers, with limits being caught.Trollers should try Apex, Needlefish, Wedding Rings, Glitter-Bugs, Rapala's, Ex-Cell spoons and Rocky Mountain Lures behind a small dodger, Wild Thing dodger, Panther Martin Lake Trolls, or the new Glitter Bug dodger,and the Rocky Mountain dodgers, tipped either with a nightcrawler, Gulp Nightcrawler, Gulp maggots, tthe new Gulp Corn, and Power Minnows. You can also try using just a dodger trailed with the nightcrawler. Make sure to use scent to increase your catch. The better fish have been caught around 40 feet. Make sure to troll slow.The lure fishermen have been doing good using Panther Martin spinners, Rooster Tails, Blue Fox spinners, flies on a bubble, and Kastmasters.Try fishing around the dam and up by the buoy markers as the water is the coolest at those locations. Fly fishermen should try woolly buggers, ants, caddis, bead head nymphs, hoppers, and crickets.The fish have been loaded with ants and assorted flies. Bait fishermen should try Gulp Eggs, Gulp Nightcrawlers, Garlic and Salmon Egg scented Power Bait, inflated nightcrawlers, and floating Power Eggs using a cast-a-bubble with a 24" to 30" leader or a sliding sinker rig. White Pines Lake located near Arnold was still the hot spot over the weekend with loads of fish still to caught. Bait fishermen should try floating Power Eggs, Gulp Eggs, new Salmon Egg scented power bait, new Garlic scented Power Bait, Gulp Power Bait, Gulp Nightcrawlers, salmon eggs, and nightcrawlers using a cast-a-bubble and a 30" leader or a sliding sinker rig.. Fly fishermen should try bead head woolly buggers, ants, blue wing olive, adams, stimulators, and sparrow nymphs on a intermediate line or try using a small split shot to get down to the fish. Lure fishermen have been using Panther Martin's, Kastmasters, and Rooster Tails.